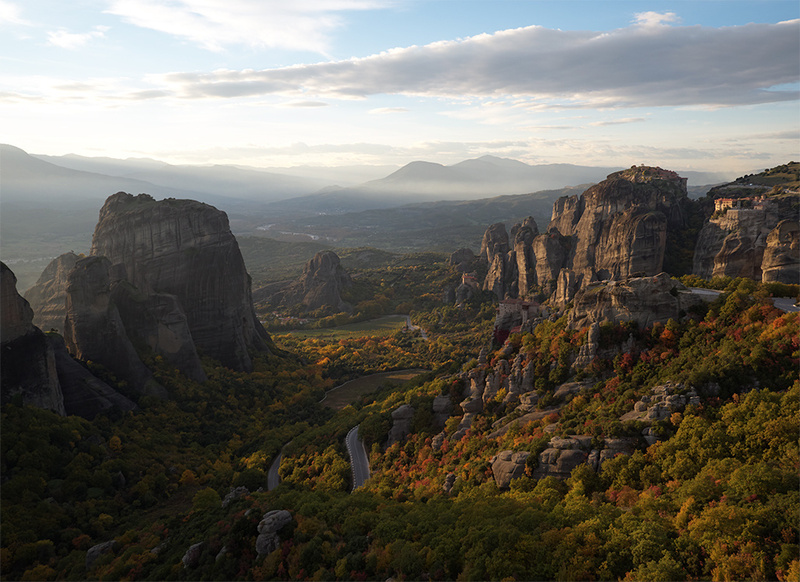 I recently had the pleasure of picking up one of the first final production models of the Inspire Pro and X5 Micro 4/3 Camera, and immediately took it to one of the most beautiful photography destinations in the world to test it out: Meteora Greece. I spent the better part of a week there getting the hang of flying and capturing both photos and videos and I was able to come away with some stunning results. This review is meant to showcase what I was able to capture and give you an idea about the capability of the new X5 Camera and the key differences between the Inspire and Phantom series drones. I’ve also already written a detailed Phantom 3 Professional Review. Feel free to read through that for additional information about the Phantom 3 series, tips on flying, and insight about how I initially got into drone photography and how it changed my workflow forever. So let’s kick things off with something fun to look at. 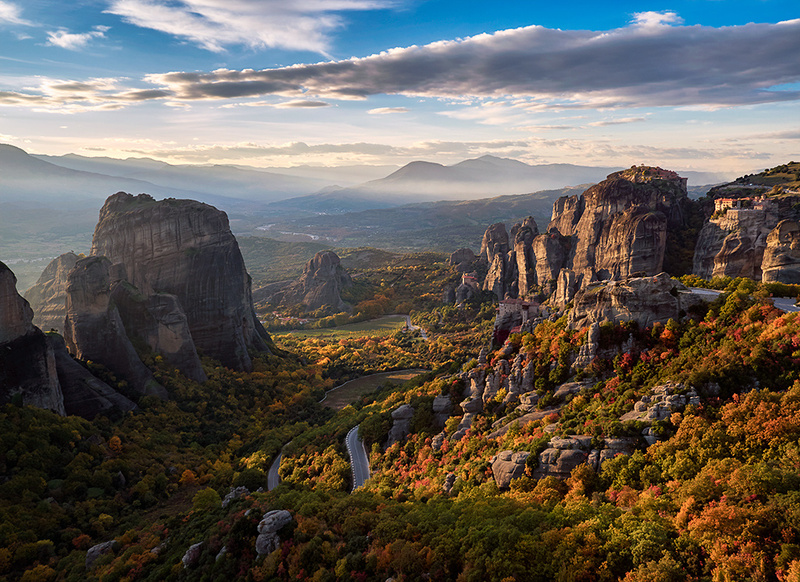 Here’s a short video I edited together that showcases not only the beauty of Meteora in the fall, but also what I was able to capture with a short amount of time using the Inspire Pro, the X5 Camera, and the kit MFT 15mm Lens. As far as technical information goes, nearly all of the footage was shot at 4k 24fps, Aperture Priority mode at f/8, ISO 100, and auto white balance. It was edited and color graded entirely using the latest version of Adobe Premiere Pro. I also selected a very soft piece of music to help match the feel of the landscape. It was my intention to keep most of the camera moves slow and steady in order to give the viewer time to take in the vastness and beauty of this unique landscape. 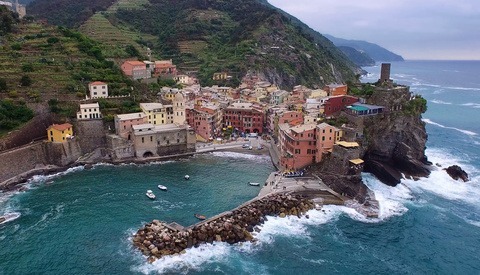 After watching this video, keep in mind that the same lighting rules apply when shooting aerial photography as they do with standard on-the-ground work. Simply put, you wouldn’t try to shoot portfolio quality photography work at high noon, so you shouldn’t expect to get portfolio quality aerial work at high noon either. Just like any other form of landscape photography, times of day are just as crucial in the air as they are on the ground. So with everything I shoot, regardless of altitude or camera, I always do my best to focus around the golden hours, sunrises, and sunsets - when the light is both soft and beautiful. What you’re seeing in this video is multiple days of shooting around the same times of day so the edit looks consistent throughout. When looking through a camera viewfinder and changing positions, the position and/or direction of objects appear to differ when viewed from different positions. In effect, this makes up the basis of how you can place and control the positions of objects inside of a standard (still) composition. With video, the camera is constantly moving so the parallax changes as well. Objects move at different speeds depending on both their proximity to the camera and the speed at which the camera moves. 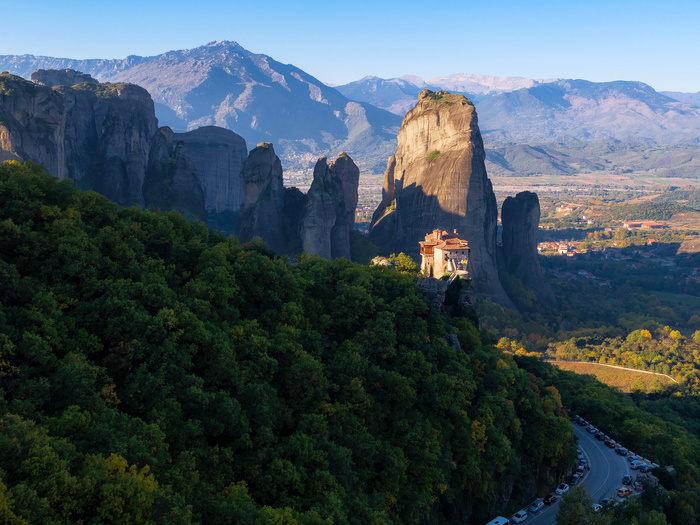 With most of the shots you’ve just seen in my Meteora video, I’ve tried to use parallax as much as possible to create reveals of certain parts of the landscape, or just the way one hill rolls past the landscape much quicker than the valley below. This is where I find video to be the most useful. It’s those times when a static shot looks nice, but some motion would make it look incredible. Remember though, even though the camera is moving now, a strong composition is still important! 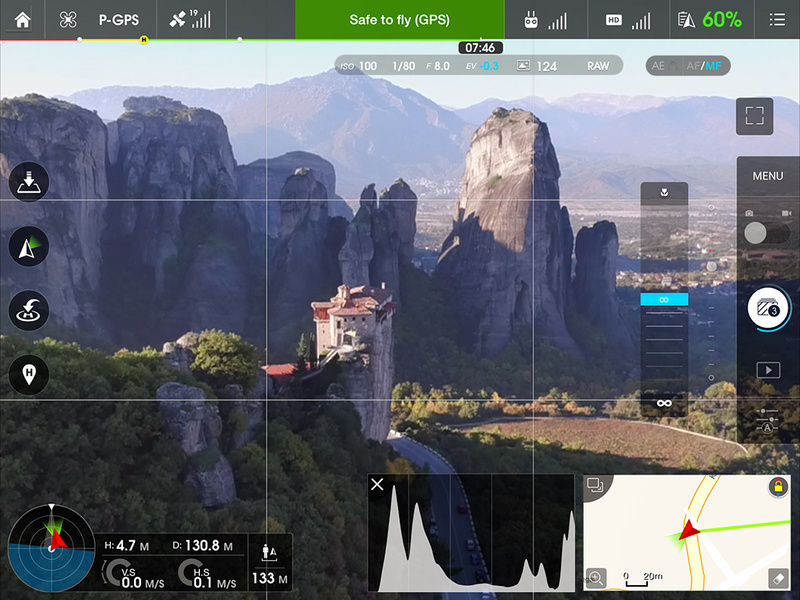 Just like with the DJI Phantom 3, you can shoot in DNG Raw format and even use Auto Exposure Bracketing. With the X5 being a Micro 4/3 camera however, you can control every aspect of the settings, including the f-stop. If you’re familiar with the Phantom 3 camera, you’ll know that it’s fixed at 2.8. Now it’s time to take a look at some fully post-processed RAW photos. The DJI X5 boasts 16mp DNG raw files that I found to be very powerful when pushing and pulling shadows and highlights in post-processing. My editing and post-processing workflow with these files is exactly the same as the workflow I teach in my Photographing The World Video Series. So if you’re interested in learning to achieve vibrant, sharp, colorful, and consistent results with your photos, check out the link to my workflow videos. 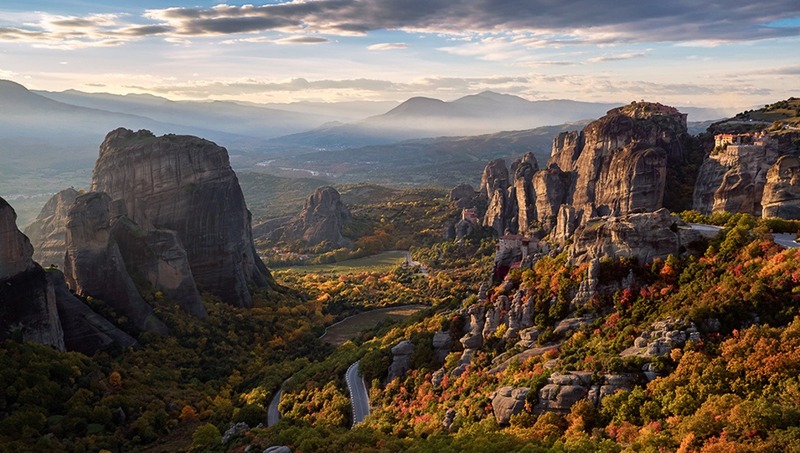 Elia Locardi is an internationally recognized professional travel photographer, Fujifilm Global Ambassador, writer, public speaker & educator who spends his life shooting some of the most beautiful locations in the world. Location independent since 2012—he and his wife live a 100% mobile lifestyle and have visited more than 50 countries since 2009. Great Information here, Thanks. I am just thinking about getting into a drone system. Actually just bought a little drone to practice with for x-mas. Thanks for the information. No worries. I would recommend getting a DJI Phantom 3 series drone. Those little off brands are really hard to control. I got a little toy drone just to play around with. I am sure the phantom is a hole other level.. I agree with Elia; get a Phantom 3, but not the "Standard", which has an older-generation camera. And don't bother practicing; whatever skills you develop on the toys are useless with the Phantom 3. And the Phantom series is so easy to fly that it is a bit disconcerting. As you can see, you can recover quite a bit in both the shadows and highlights. It's pretty impressive. Thanks for your nice review Elia! 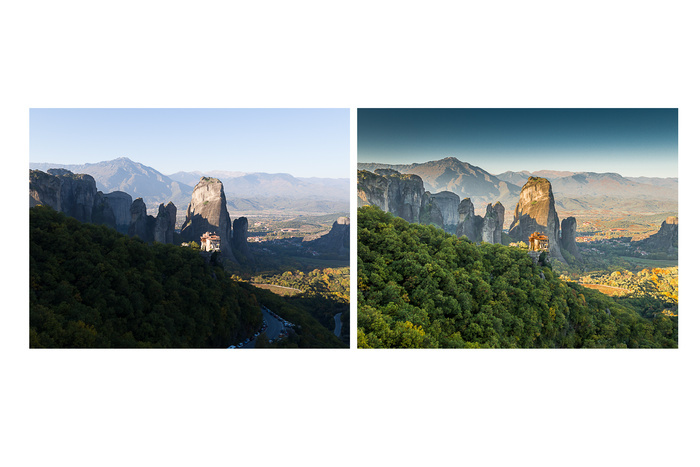 The sample DNG file shows good latitude in editing with Lightroom. I'd be interested to see a higher ISO sample. Keep up the good work! Elia, I had no idea you came from a background in video! Thank you for the very accurate and honest product review. Yes, indeed I fly my DJI Phantom 3 more than my Inspire 1 as well, and each product has its place. Soon you will make room for the OSMO hand held gimbal in that camera pack. The OSMO will help to tie us any loose ends in your video story. I look forward to seeing you soon! I think this is an AWESOME write-up. The X5 is definitely on the radar, along with an Osmo handle. I think the P3P and the Inspire 1 Pro with X5 are perfect companions. Dense urban/tight indoor? P3P. 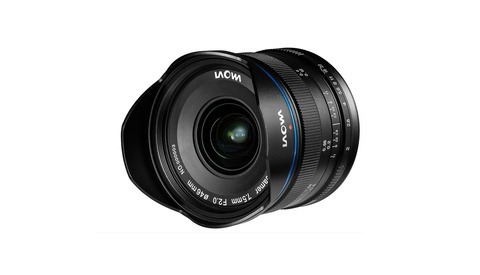 Long distance interchangeable lenses? And I couldn't help but notice the pair of X-T1's in your think tank ;) Cheers! I tried to grab my Inspire one while the propellors were spinning. Sliced 3 of my fingers so bad I had to immediately stop my shoot and drive myself to an ER with my hand wrapped in a sweatshirt with the drawstring as a tourniquet. 100% DO NOT EVER touch an Inspire one while in flight or operate even remotely close to a human. Yeah, that's rough! That's why I put it in the review. It's much more dangerous. For photo maybe but for video, the 60mbps limit makes the sensor and optic upgrade pretty useless. The P3 and I1 already suffer compression issues due to this low bitrate in 4K mode (eg; weird patch when filming dense sceneary such as forest, sky, etc.). For video, I would go for the X5R or stay with the X3 or P3. The regular X5 is crippled by the low 60mbps bitrate. The 60 megabits/second rate is a common complaint on the X5. I wish it had 100 and 200 megabits/second options, but it doesn't. 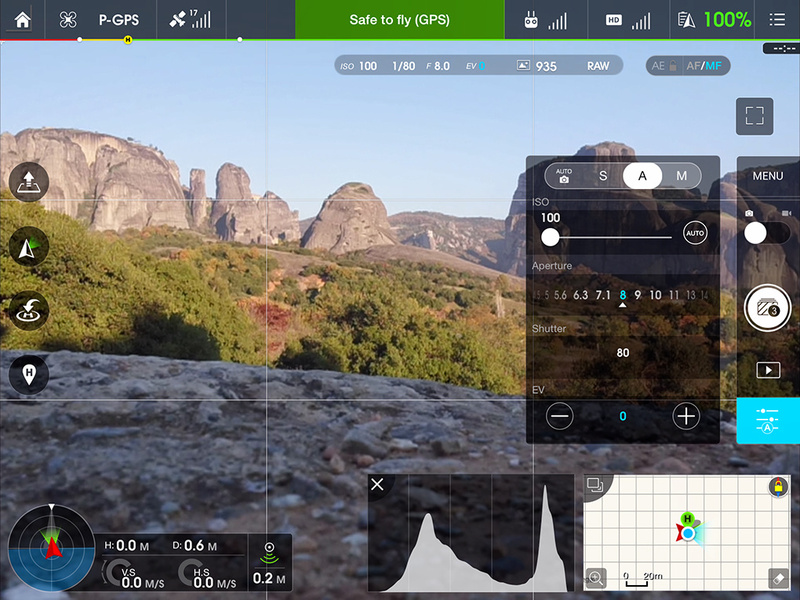 But as you can see from Elia's video, the 60 megabits/second rate does not prevent you from getting stunning footage; much better than what you can get with the X3. And the X5R, which does raw video, will cost and *additional* $3,500, for a total cost of $8,000. And for that money, you buy yourself the headache of 1.7 gigabits/second raw footage. Don't get me wrong. Elia's video is great and he got a very nice article but the 60mbps is indeed a problem when the X3 has issue to deal with dense footage. Adding a better sensor and sharper optic is a bit of a waste. It's like shooting with a 5DS with let's say, a 10MB max file size limit. What's the point ? Of course the X5R is plenty of money, but for professional, it s well worth it. For video work, I don't really understand the value of the X5, it's still an additional $2000 over the the X3 that already suffers from the 60mpbs in 4K. There will be a slight improvement in term of sensitivity, the narrower focal range and the focusing maybe (well, in drone and wide angle you must be in infinity anyway). Hopefully, DJI will upgrade the firmware and get something like 100mbps (similar to the GH4). The shots are nice. It's great to see almost no rolling shutter. One question though - there seems to be a lot of noise happening and it mostly looks like color key noise, but I want to make sure. Did you do a fairly heavy selective color key on the foliage in each shot, or is that dancing noise just some of the compression artifacts of the camera system? It's hard to tell since I had to compress it down first to be able to upload it with a slow connection in Cambodia, and second, the YouTube compression. There is almost no noise at all during playback at 4k. Awesome, thanks for the response. Aperture Priority in video mode? Why? No Manual? Auto white balance? These are not video friendly settings. Really lovely video, you're talented Elia. I went into the DJI website. 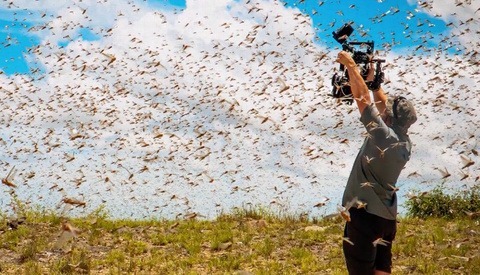 They have the "Spreading Wings" system, a big quadcopter which you can add a cage for a BMPCC. I'm thinking this would make more sense since if there's a new camera, you would keep the quadcopter and just change the cage. It's priced at $3400 for the BMPCC kit (without the remote). What do you think? Oh definitely. The SW systems are top notch. The only thing is that it's much more difficult to travel with. But yeah, you can support some serious cameras on them. The main advantage of the Inspire family is that you have complete control over the camera while it is in the air; you can change exposure, switch between stills and video, etc. You can't do this with the current S900 and S1000 copters. I believe that DJI is going to bring the Inspire 1 remote/video/camera-control systems to the larger copters at some point. I think it boils down to some coding to the USB API provided by each camera manufacturer.